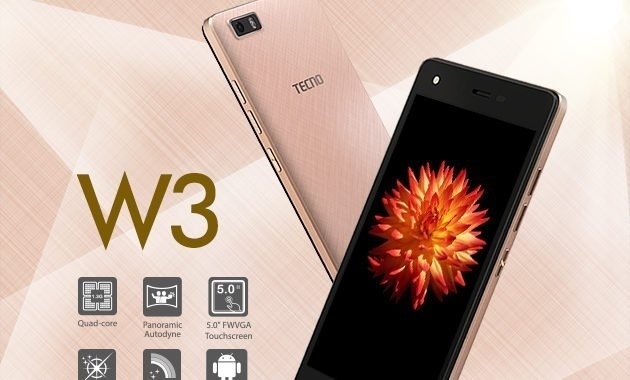 With the superb Tecno W3 smartphone, you've got a show-worthy device with reliable features. A silk texture exterior with a slim profile measuring about 8.65mm. The Tecno W3 sports a fluid 5-inch screen with a resolution of 480 x 854 pixels that provides seamless interaction and brings your movies, photos and files to live. 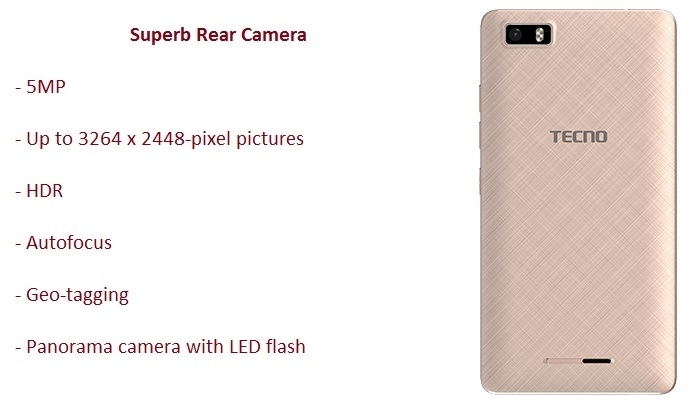 A 5MP camera with dual-LED flash turns happy moments to beautiful memories, its 2MP camera with LED flash is just perfect for those awesome selfies. 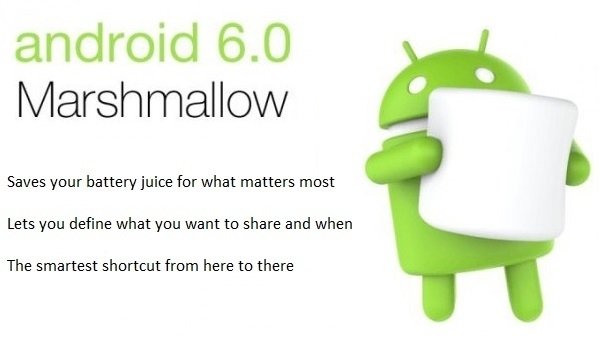 The Tecno W3 runs on Android 6.0 (Marshmallow) on a 1.3GHz quad-core processor with 1GB RAM and 8GB memory that is a safe haven for your multimedia files. Power through the day with the 2500 mAh battery that provides up to 25 hour talktime. The Tecno W3 provides 8GB built-in storage and offers fast internet, Wi-Fi, and Bluetooth.